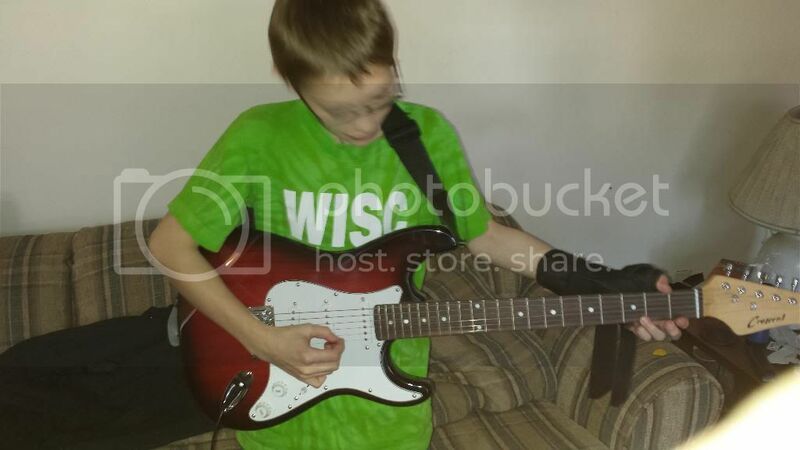 Well have not done a car and have been tinkering with electric guitars and learning to play. Don't get here as much as I use too. Thought a few pictures, and you would enjoy my latest project. A few more pictures for your pleasure. And more info. BTW, Finger prints show up so easily on black. never can keep them clean looking. 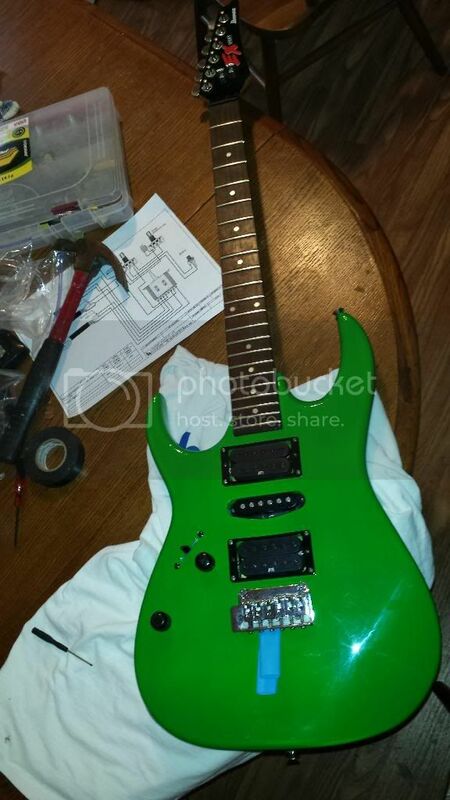 The green guitar, is a 1993 Ibanez ex170 lefty. 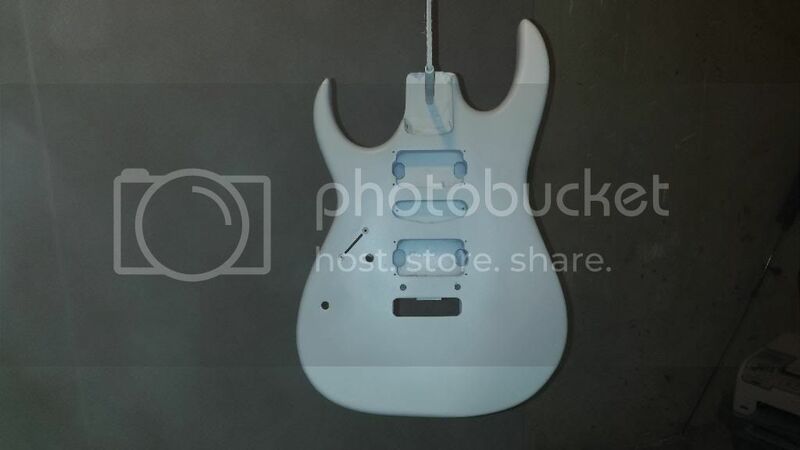 I have upgraded the electronics from a Ibanez rg5ex1. I put in inf3 and inf3S and inf4 pick ups. 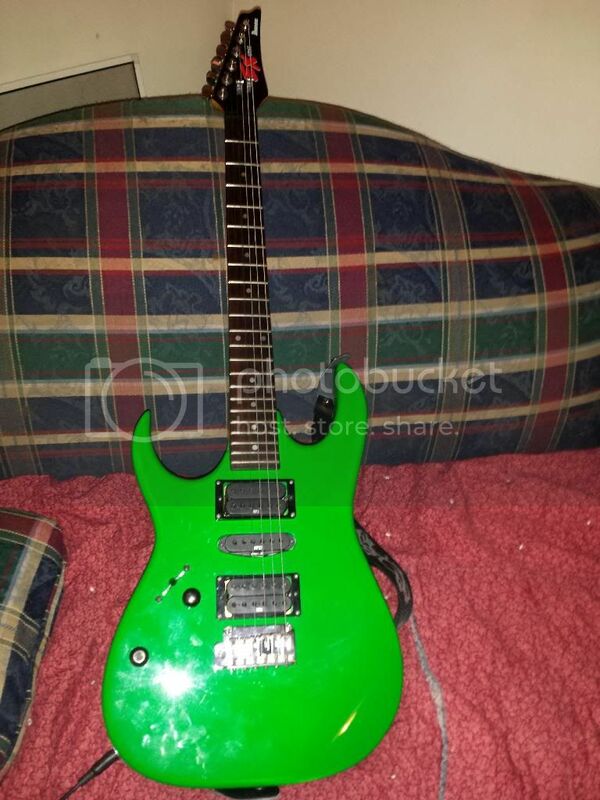 I have a washburn li15, converted to a left. 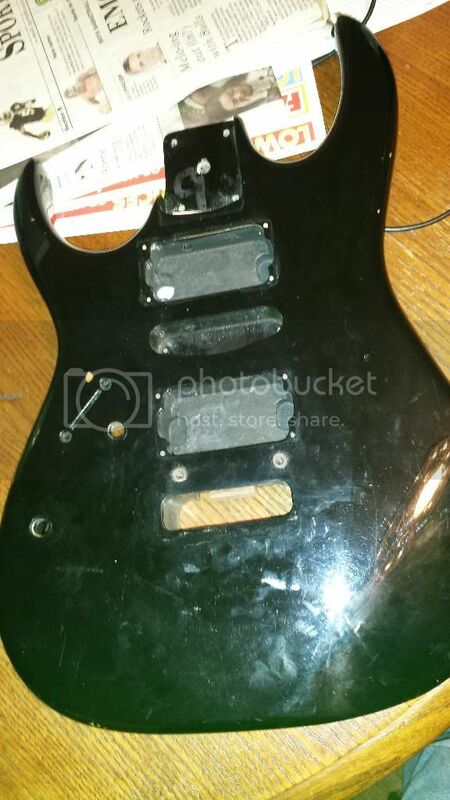 I replaced the cheap humbuckers with epiphone 650/700 hot pick ups. 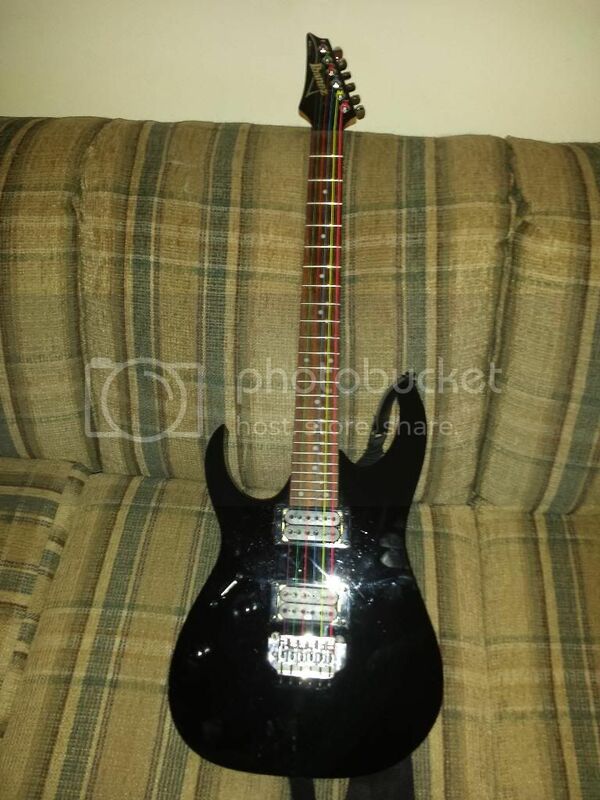 I have a black Ibanez rg120l, lefty, stock. Then well everyone else had to have one. 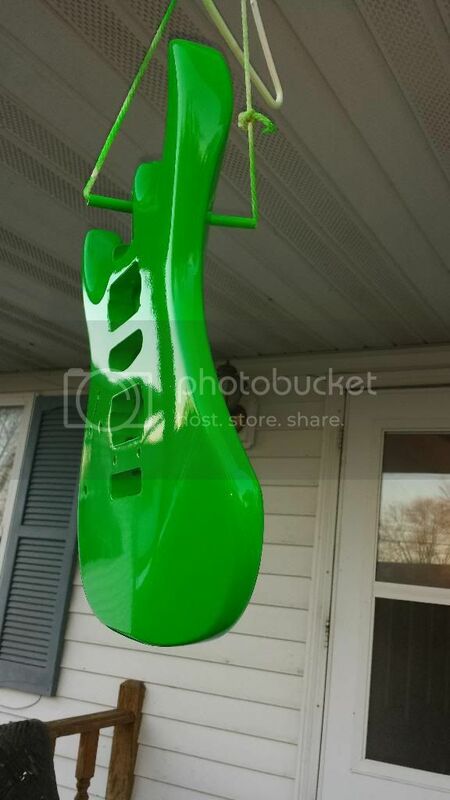 my oldest son, got a peavey rapter. 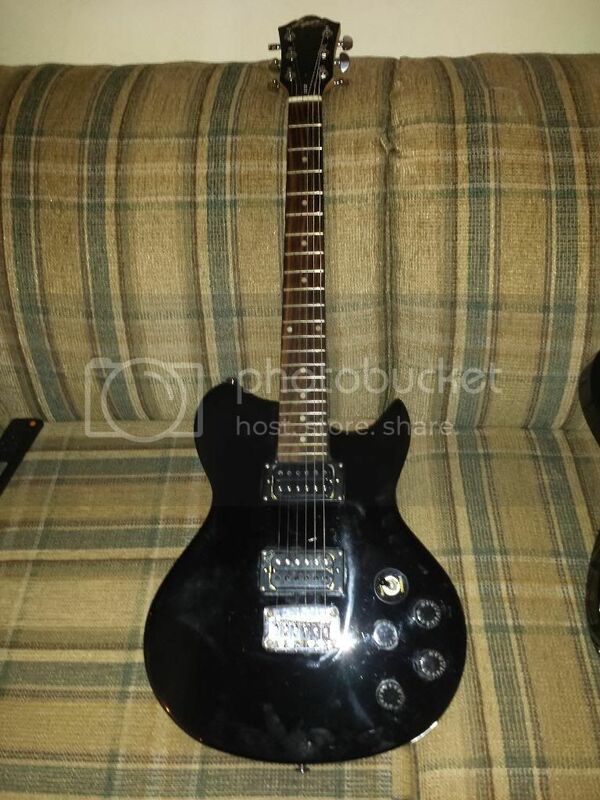 my youngest got a crescent cheapie, and I put in better pick ups, which really made it a decent guitar for the price. My dad, decided to get a fender squire with double stacks. hes more or less teaching us how to play. 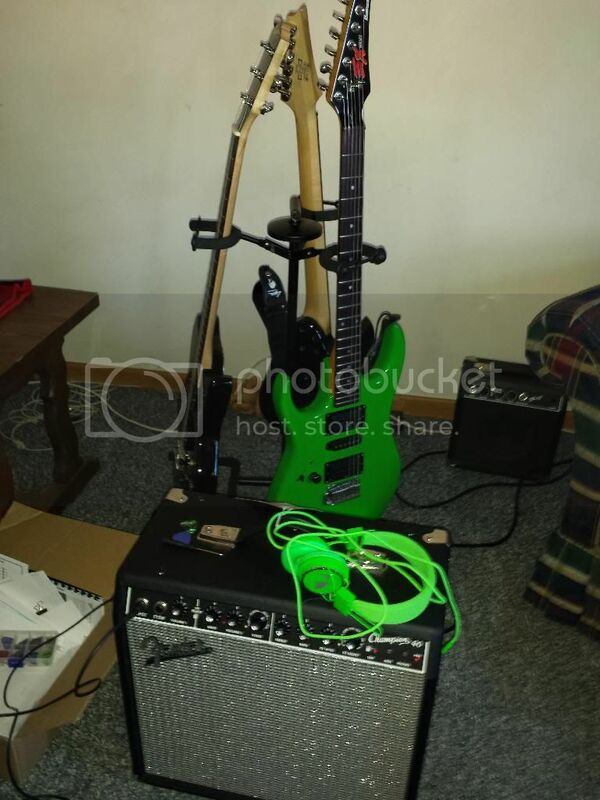 I have a fender sp-10 amp, a lyon washurn la5 (pretty cheap one) fender champion 40 with reverb and options. 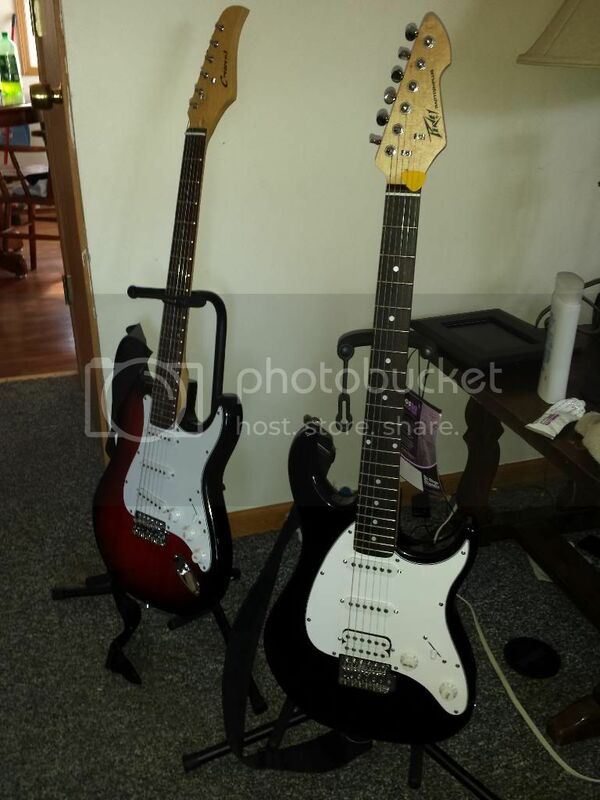 crescent on the left, sunburst color and the peavey raptor on the right. My youngest, learning to play and tinker below. Two of my guitars, use Ernie balls super slinky size #9 guitar strings. 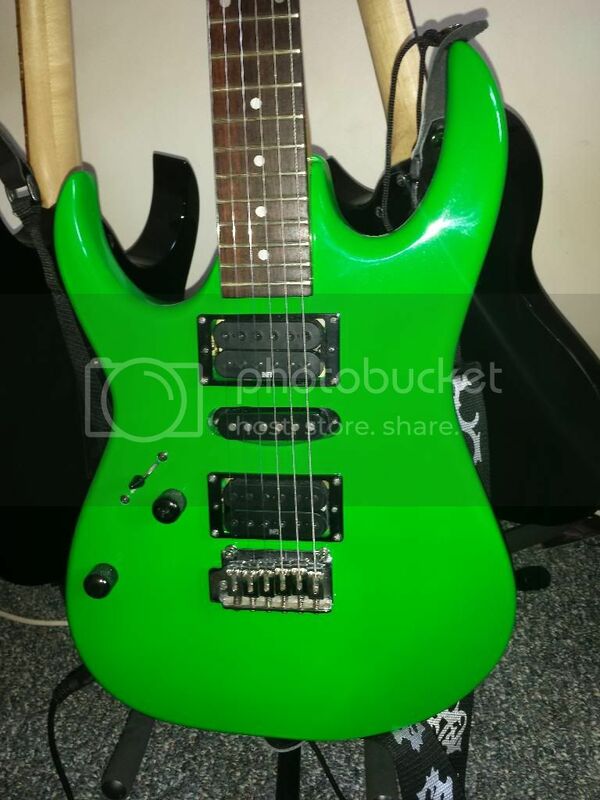 My Ibanez Rg120l has neon colored strings by DR. size 10 strings. Hope you enjoyed the pictures and info. 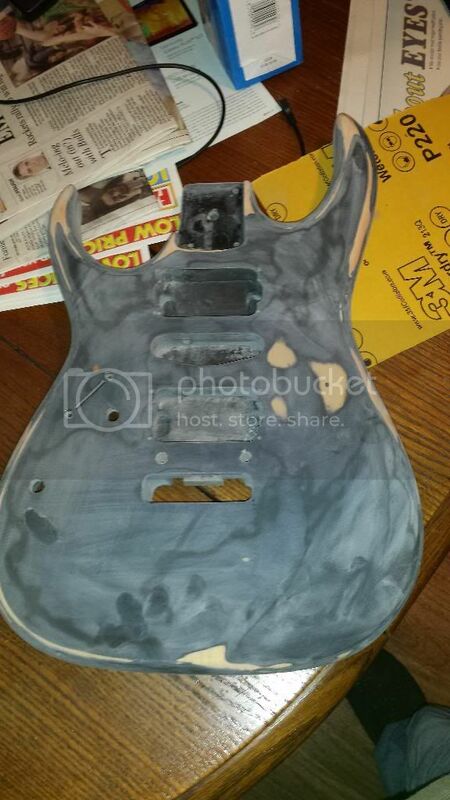 I think I enjoy taking them apart, tinkering, painting, hard to find cheap project lefties to do. 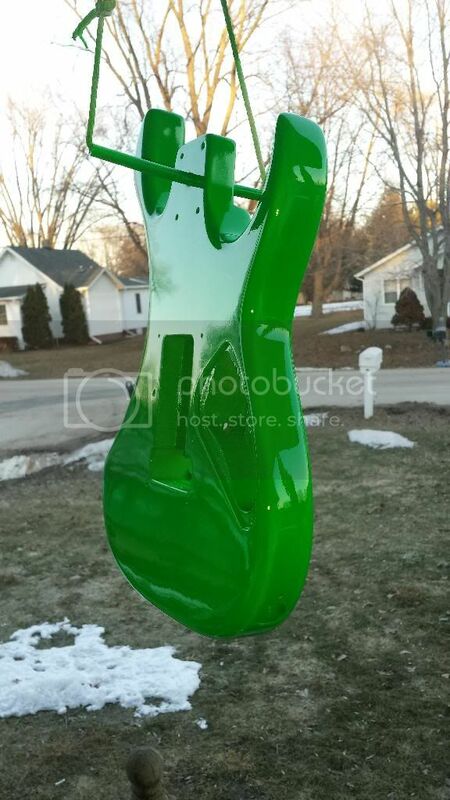 Love'n the Green Paint there Sporty!